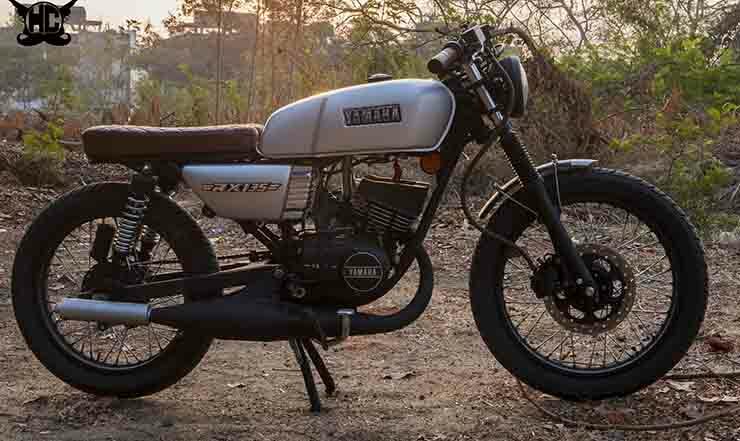 The Yamaha RX100 and the RX135 were quite a race back in their heyday. In spite of being out of production, these motorcycles still have a fan-following of sorts and finding a well-maintained example is pretty easy even in this day and age. However, there are some who wish to take their dreams a step further by modifying these two-stroke wonders. Seen here is a modified Yamaha RX135 café racer that has a ‘brat’ seating posture. This motorcycle is the work of Hindustan Customs from Nagpur. 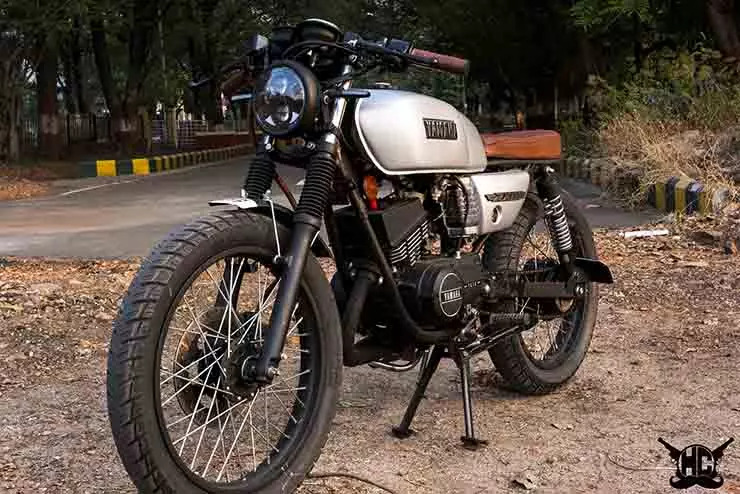 Animesh Sharan, the key member of the team behind the development of this RX135 says that the owner of this motorcycle was so keen on having a modified RX135 that he handed over his motorcycle to the team at Hindustan Customs just two days after buying it. The customizers have named this motorcycle as “TARAK: the one who takes you across, the star protector”. The customizers have commented that they have tried to give this motorcycle a shade of retro silver – a color that is fast fading out of the market in these times. While they have given the motorcycle a decidedly retro touch, due care has been taken to infuse some modern styling bits with the design. Hence, one of the first things you notice is the LED Headlights with custom-made headlight bracket. You also get LED integrated tail lamps and indicators along with new spoke wheels. The original fuel tank has been modified to have areas for knee recess. Also, it can hold up to 16-liters of fuel. The flat seat has been given hand-stitched leather cover. The handlebar grips have been color coordinated with the seat cover. You also get clip-on handlebars and a large front disc brake. Other updates include a bigger swing arm to accommodate a wider rear tire. The motorcycle also gets a custom-made number-plate housing and a custom chain guard. Even the customized front-fender has a sleek appearance that is typical of the front mudguards on care racers. The motorcycle gets an expansion chamber for a rorty exhaust note. Details on other performance modifications aren’t available. 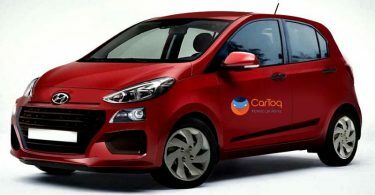 9 new Hyundai cars & SUVs for India revealed; Santro to all-new Creta!